Discipline isn't just about giving kids consequences. Instead, it ensures children are gaining the skills they need to become responsible adults. There are many types of discipline and various approaches to parenting. But ultimately, regardless of the type of discipline a parent uses, discipline offers kids many benefits. Believe or not, kids don’t want to be in charge. They often test limits just to make sure that their caregivers can keep them safe. When adults offer positive and negative consequences, kids grow and learn. Kids who have permissive parents often experience anxiety because they have to make adult decisions. The lack of guidance and absence of leadership is very unsettling for kids. Appropriate discipline teaches kids how to make good choices. For example, when a child loses his bicycle privileges for riding into the road, he learns how to make safer choices next time. Healthy discipline teaches kids alternative ways to get their needs met. Kids need to learn problem-solving skills, impulse control, and self-regulation skills from appropriate discipline. It is important to distinguish the difference between consequences and punishments. When kids are disciplined with appropriate consequences they learn from their mistakes. Punishments, however, tend to teach kids that their parents are mean or they learn how to “not get caught” when they misbehave. When a child receives a time-out after hitting his brother, he learns skills that will help him manage his anger better in the future. The goal of time-out should be to teach your child to place himself in time-out when he's getting upset before he gets into trouble. Other discipline strategies, such as praise, can also teach kids how to deal with feelings. When you say, “You are working so hard to build that tower even though it is really hard to do. 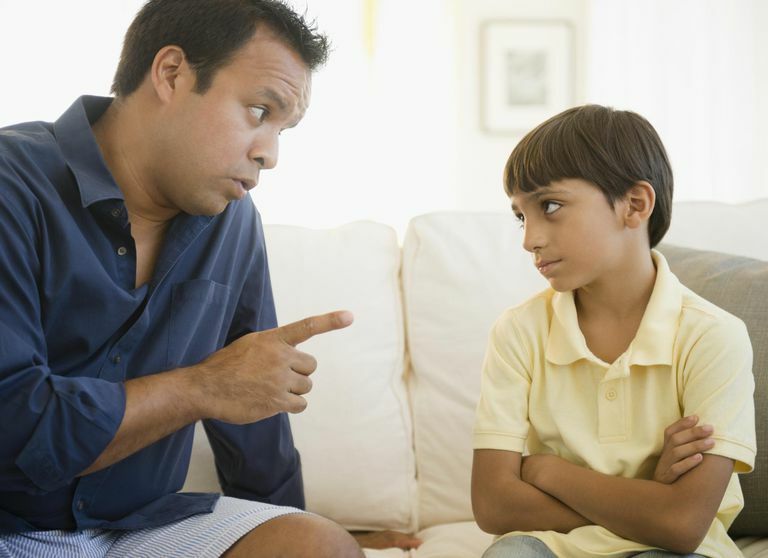 Keep up the good work,” your child learns about the importance of tolerating frustration. Ignoring mild misbehavior can teach kids socially appropriate ways to manage their frustration as well. If you refuse to give in to a temper tantrum, your child will learn that's not a good way to get his needs met. When you ignore whining, your child will learn that whining won't change your behavior. The ultimate goal of discipline should be to keep kids safe. This includes major safety issues, such as looking both ways before crossing the road. There should be consequences when your child doesn't take appropriate safety precautions. Discipline should also address other health risks, such as preventing obesity. If you let your child eat whatever she wants, she will likely experience serious health risks. It's important to set healthy limits and offer education to help your child learn to make healthy choices. Explain the underlying reasons for rules so your child will understand the safety issues. Instead of saying, “Stop jumping,” when your child is jumping on the bed, tell him why it's a problem. Say, "You could fall and hit your head. That's not safe." When your child learns about the reasons for your rules, and he understands the specific safety risks, he will be more likely to consider the safety risks when you're not there to tell him what to do.